Well, the rains have finally subsided, at least for now, and the time to go fishing is drawing near. For all of the steelheaders who have had “cabin fever” along with myself, it’s time to get out there and try and put some coastal fish on the reel. It’s time to take all of those flies you’ve been tying and take em for a long anticipated swim. Be prepared for some of your favorite runs to be different and for some new ones to have formed. 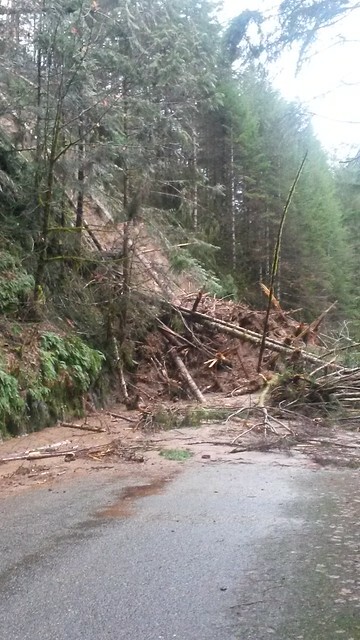 There are plenty of new changes to the rivers, and more than a few trees have come down. The high winds and rains have moved things in the river as well as onto the roads. 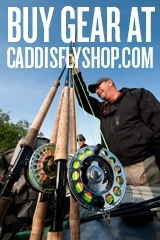 Fly choices can vary from river to river depending on the size of the waterway. I tend to like bigger flies on bigger rivers and smaller flies on smaller rivers. A few good winter fly colors are: black n blue, pink n white/purple and orange/shell pink which could represent coastal shrimp.If you are not into tying flies, we have plenty of coastal patterns here at the shop including: Scott Howells Squidro , Silveynator and the “good ol” fashioned Signature Intruder all in a variety of colors. Keep in mind that there are probably a lot of anglers like yourself just waiting to fish their favorite coastal water and a little courtesy on a busy river can go a long way. 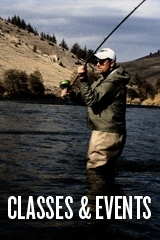 Everyone is out there to have a good time whether you are a fly fisherman or otherwise. I have met some of my best fishing partners and made numerous friendships by just saying “hi” and striking up a conversation. A few simple etiquette rules can dissolve an otherwise awkward situation. Here are some basic rules that I think best describe fishing etiquette. Courtesy of The Fly Fishing Shop in Redding CA. This is by no means set in stone, these are the rules I was taught and the ones I live by. Rule #1: Do unto other anglers (fly fishing or otherwise) what you would like done unto yourself. Treat all on the river with respect and dignity whether they are fishing, swimming, or just floating the same stretch of water you happen to be on. Our rivers are there for all to enjoy and, as such, we should allow the same respect that we deserve. Rule #2: Don’t be a hole monger. I understand when you find a run that is producing fish, it might be tempting to just park yourself on that stretch and to just fish it until your arms grow tired. But chances are there are several people on the river that would like a chance at that stretch also and they are waiting for you to fish through. If it happens that no other anglers are fishing that day (rare in today’s society) then have at it until another angler shows up. If there are other anglers, then fish through, and then let someone else fish. Rule #3: Give other anglers their space. When I go fishing I’m looking to get away from the grind of the world, and to relax. I have no problem greeting other anglers, but I usually do so quietly and respectfully as to not disturb their solitude. I don’t go bumbling up to them sloshing through their water yelling out “HELLO!” If you approach someone on the water and they do not respond, it means they would like to be left alone. Be quiet and soft with your steps! Talking to other anglers can stop conflict before it happens. If you think somebody has done something erroneous that affected your fishing, don’t curse at them, flip them the bird, or start an argument. It’s pretty good odds that they didn’t do it on purpose. Politely explain it to them, and then move on by saying “just wanted you to know, and no biggie,” they’ll be more informed, you’ll feel better, and maybe they will pass that example on to others. Rule #5: First Come, First Serve. Whether you are second or tenth to the river, you must wait your turn or find somewhere else to fish. Even if the guy fishing the run doesn’t want to share, leave! Rule #6: Don’t cut the other guy off. Never get into a run ahead of an angler who is fishing. 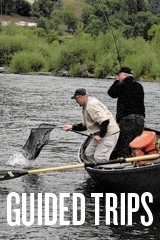 Some anglers can cover a lot of water in a hurry. Ask if you can follow or go to the next run. You should yield a complete run in front of another angler, especially when that angler is on the move. Rule #7: Leave the river better than when you got there. 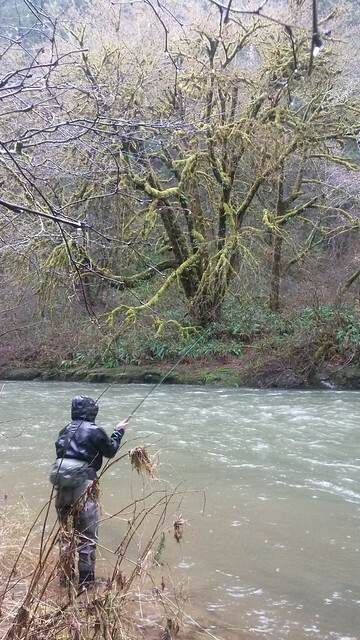 When I was growing up on the banks of the Salmon River near Brightwood Oregon, my Dad taught me to always leave the river cleaner than it was when you got there. These rivers and streams are gifts from nature and are the homes of many species of wildlife. You wouldn’t want someone coming over to your house and dumping a bunch of trash in your yard or living room! All points very well said, especially the final one. Cheers!